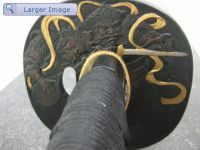 In this section, you can find our entire selection of Forged & Folded steel katanas.. It's a rather small collection but the pricetag is definitely a factor that plays a big role. Most of these pieces are ending up in a sword collector's home since very little practitioners want to spend that much money on a 'workhorse'. 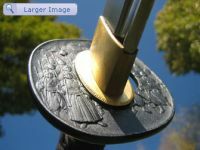 Folded blades are not 'better' than monosteel blades are. 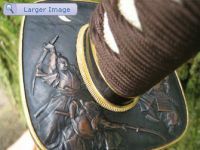 Let's say they are made in a more or less traditional way because of the folding process that is being used when forging the blade. 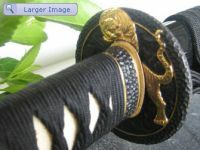 We carry the famous Paul Chen swords which are known for their superb fittings ! Hanwei is using the well known Swedish powder steel (ASSAB-K120C) to forge their blades and each of them is showing a nice hada. If you’re not sure what’s right for you, drop us a mail and we would be happy to assist you in your search !